High resolution and high speed SDADC to achieve digital T-RMS, peak hold & inrush current functions. Flexible auto range multifunctional network for reference resistor ratio self-calibration. Programmable capacitors array for ACV bandwidth compensation. Dual multifunctional comparators with programmable comparison voltage for continuity test, capacitance and frequency measurements. 3 sets of 24-bit programmable counters for frequency and duty cycle measurement. 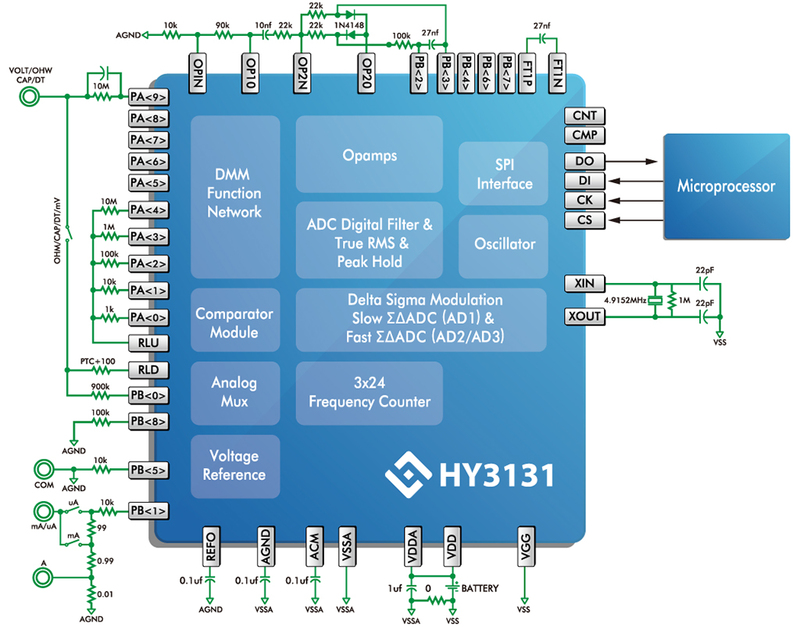 External Crystal：Support 4.9152MHz High Speed crystal oscillator.